The high level of demand for property in Gibraltar should be no great surprise to anyone; after all, this is one of the most liveable and rewarding places in Europe in which to set up home. However, the distinctive nature of this British Overseas Territory is also why you should take care to familiarise yourself with certain key aspects of life here – including the below. Having been ceded to Great Britain in perpetuity under the 1713 Treaty of Utrecht, Gibraltar has had centuries in which to assume an unmistakably British identity, as signalled by the presence of the likes of red post boxes, fish and chip shops and British high street stores such as Marks and Spencer. Gibraltar is a highly demographically diverse part of the world, a reflection of the wide range of European and other economic migrants to have come to the Rock over the last three hundred years. While English is Gibraltar’s official language, most people also speak Spanish. A third language that eccentrically mixes elements of English and Spanish – Llanito – is also spoken. While the pound is legal tender in Gibraltar, it comes in two forms, pound sterling and the Gibraltar pound, that are used interchangeably. You cannot spend the Gibraltar pound in the UK, so will need to have it converted for any visits to the British mainland. Euros are also freely available in the territory, so it may be a good idea to keep some aside if you intend to make frequent trips to Spain. Whether you are a British citizen or EU national, you can take advantage of free healthcare in Gibraltar. You are simply required to present the required documentation at any healthcare institution – a UK passport or European Health Insurance Card (EHIC). However, it is not yet known how or if this situation may change when the UK leaves the European Union in March 2019. 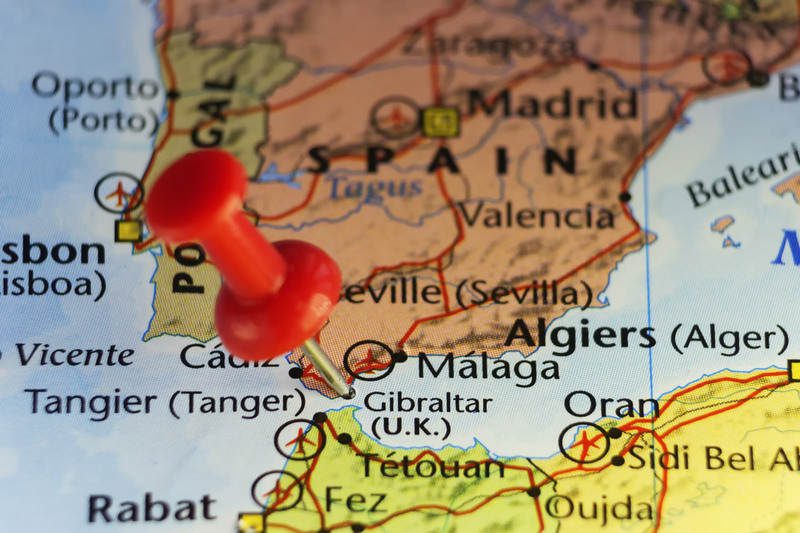 If you are contemplating purchasing or renting property in Gibraltar but working in Spain, you will be required to cross the border between the two territories on a regular basis. In this case, it is important to be aware of the delays that can occur in doing so – several hours is not unheard-of. There have been suggestions that the Spanish police may hold the process up unnecessarily to annoy Britons, but this – of course – is unconfirmed. Notwithstanding the above issues, Gibraltar is a beautiful part of the world in which to live, work and play. What is more, by partnering with The Property Zone Gibraltar, you can find the property in Gibraltar that perfectly suits your preferences, requirements and budget.